Isn't the sunshine this morning wonderful? I know my littles were anxious to get out early and ride their bikes before daycare. We've recovered and reset the shop and put out some NEW beautiful things that we didn't have room for before. So let's check out what's going on! And before I forget - we will be closed Saturday April 15th for Easter. We would like for our employees to spend time with their families that weekend. 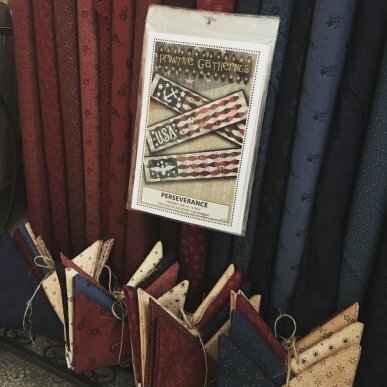 The gorgeous Star Spangled Liberty line by Pam Buda has hit the floor. 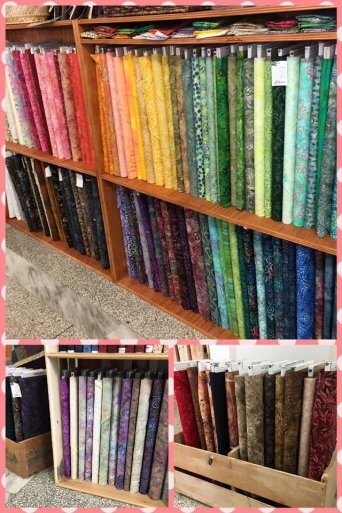 This stunning collection of reds, creams, and blues is perfect for a reproduction look Americana quilt! 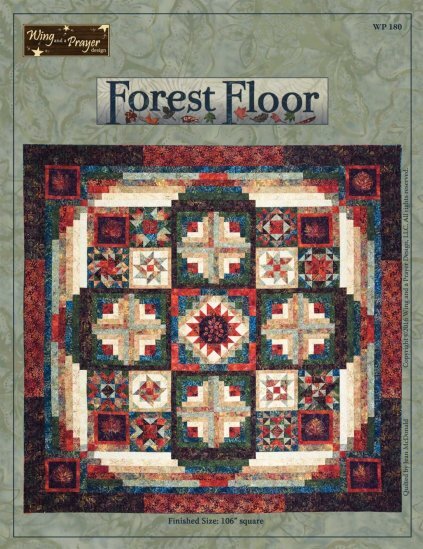 I think this NEW pattern by Primitive Gatherings - Perseverance would look stunning with this collection. Do you love embroidery? 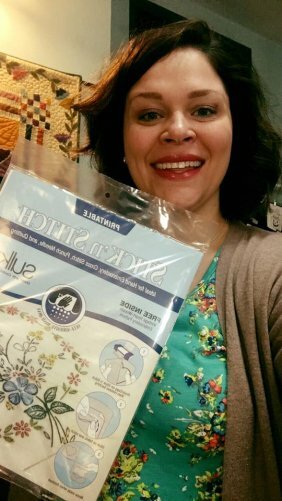 Have you seen the NEW Stick N Stitch? 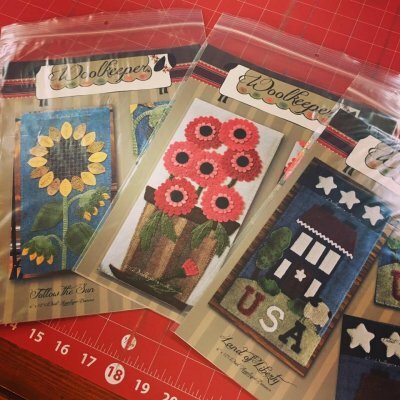 This fun product makes pattern transfer a breeze - then it dissolves away! So join us at 3:00 live on our Facebook page to see it in action! Well I suppose I better get back to my little project I was working on! Have a fabulous weekend and stop in and see us tomorrow! Follow the sound of laughter and you'll find us!